1. There are over 60 ‘ Royal’ golf clubs in the world with the majority to be found in the United Kingdom. 2. The Duke of York was Captain of the Royal & Ancient Golf Club of St Andrews from 2003-04 during its 250th anniversary year. 3. Golfing great, Ben Hogan, had an older brother called Royal! 5. Prince William is said to have a ‘Harry Potter-style’ scar on his forehead that resulted from his being struck by a seven iron while playing the game with friends when he was nine. I’m always glad that the more recent Royal Family has had a change of heart from that of their ancestors when it comes to golf and even from some of the facts above it is clear to see that they too have their own tales to tell from the Home of Golf. Why not share some of your own stories on our Facebook discussion board? What a moment it was for young Charl Schwartzel last week at Augusta! Fifty years after the great Gary Player became the first international Masters Champion, the golfing world watched in awe as Schwartzel completed a final round that can only be described as magical. From holing his chip for birdie on the first to the spectacular putts that saw him finish with four birdies to claim the prized green jacket (an unprecedented achievement in the Masters’ 75 year history), emotions were undoubtedly running high. A million and one thoughts and feelings flash through any golfer’s mind during a round. This week sees the Home of Golf play host to our tenth annual Father & Son Tournament which, over the years, has seen 346 golfers and 18 nationalities compete for the coveted crystal trophy. So far, the weather has been merciful, providing just enough North Sea breeze to prove challenging and to show the teams what links golf is all about! The bond between father and son is a singular thing in life and in golf it is laced with poignancy as we remember Old Tom Morris and his son Tommy. Having won the Open Championship a staggering eight times between them, their achievements in so many aspects of the game live on as inspiration to us all. The 2011 Father & Son Tournament sees a strong South African contingent competing, so, who knows, perhaps we’ll soon see the three most prestigious trophies in world golf in the hands of South Africans! Why not share some of your own golfing experiences from the Home of Golf on our ‘Dreams’ discussion board on Facebook. It’s no ordinary experience! 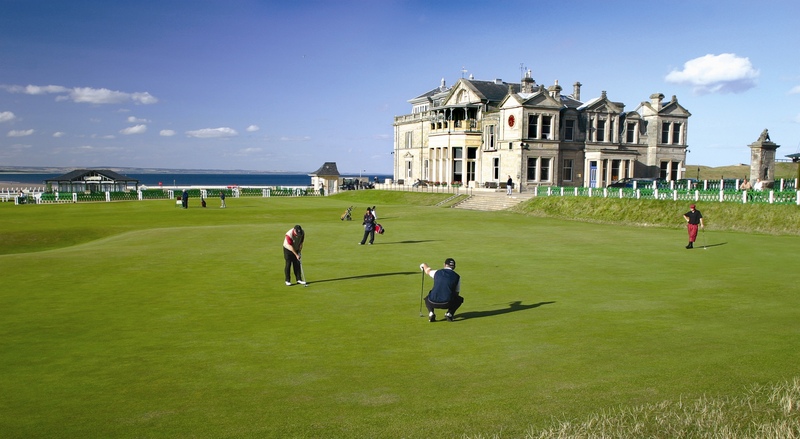 If there is a single course in the world that all golfers aspire to play, it is the Old Course in St Andrews. Grown men are brought to tears of joy (and frustration!) by the ‘Old Lady’ on a truly emotional journey for any golfer to follow in the footsteps of their golfing idols. A mix of emotions accompanies that famous stroll over the iconic Swilken Bridge, down the fairway and up to the Valley of Sin – reverence for those who have passed that way before and sheer delight for the opportunity to recreate those famous images on the bridge – a moment to capture. ‘Thanks for making our golfing dreams come true’ are the words that sit below a picture gifted to us by a group of American clients a few years ago. This simple phrase sums up The Old Course Experience perfectly. From the moment you are greeted on arrival to the moment you are waved off at the airport, all you have to do is enjoy yourself; no thinking required. 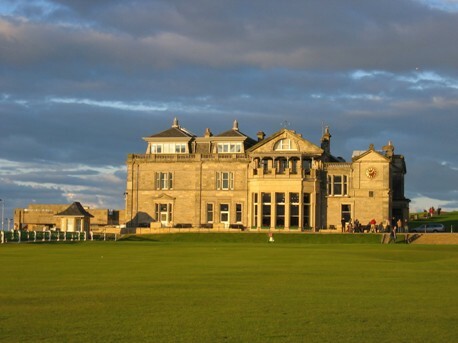 Each year, thousands of golfers make the pilgrimage to St Andrews in the hope of playing the Old Course but, due to the demand, so many are left disappointed. By using the services of The Old Course Experience, however, those dreams will come true. If you have your own dreams and Old Course experiences to share, visit our ‘Dreams’ discussion board on Facebook.